(Un)colored — Next generation Desktop Rich Content Editor. HTML & Markdown compatible. For Windows, OS X & Linux. (Un)colored is not signed (it can cost hundreds of dollars). Consequently, with (bad) antivirus on Windows & OS X, this can trigger false positive detection. On Windows, if SmartScreen is activated, it can block the application (and other good applications). Please, disable this useless Windows SmartScreen. The main idea of (Un)colored is to focus on what you write. There are no distracting elements like multiple indicators & toolbars. When you're writing, the only things you see are your content, the caret, and your cursor. The toolbar appears when you select a portion of text, documents tabs & main menu when you move your cursor at the top of the window. Simple as that. (Un)colored includes classic & standard word processor tools like Bold, Italic, Links, etc., but also Web-oriented tools like videos from YouTube, Vimeo, Dailymotion, and even Twitch livestreams. 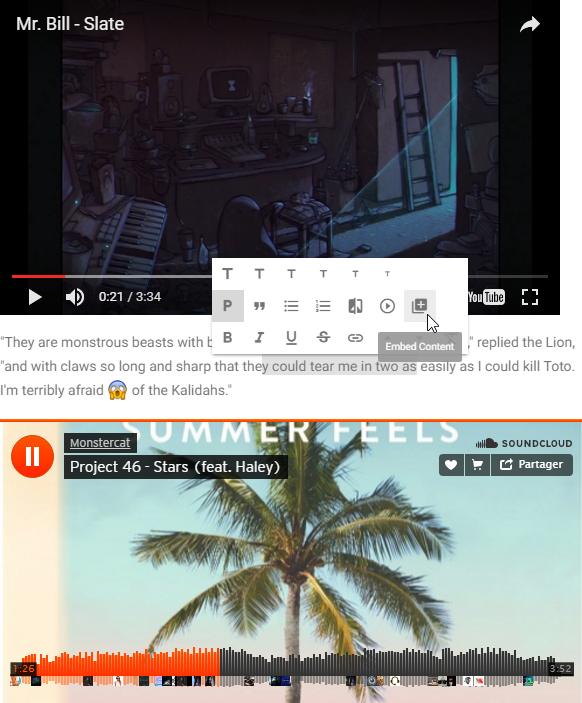 You can even include any type of embed content to your documents like SoundCloud tracks, Facebook posts, etc. thanks to the Embed Content tool ! Set (Un)colored window always on top in a corner of your screen, and start taking notes super fast with more than 40 mouse & keyboard shortcuts, without having to switch between applications. Stop worrying about alignments, colors, font sizes, margins and let document themes handle that for you. 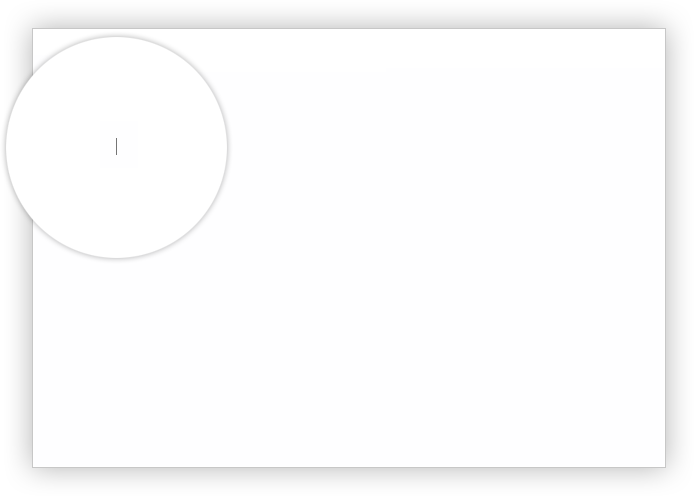 Once saved on your computer, your documents can be viewed directly in your favorite Web browser. 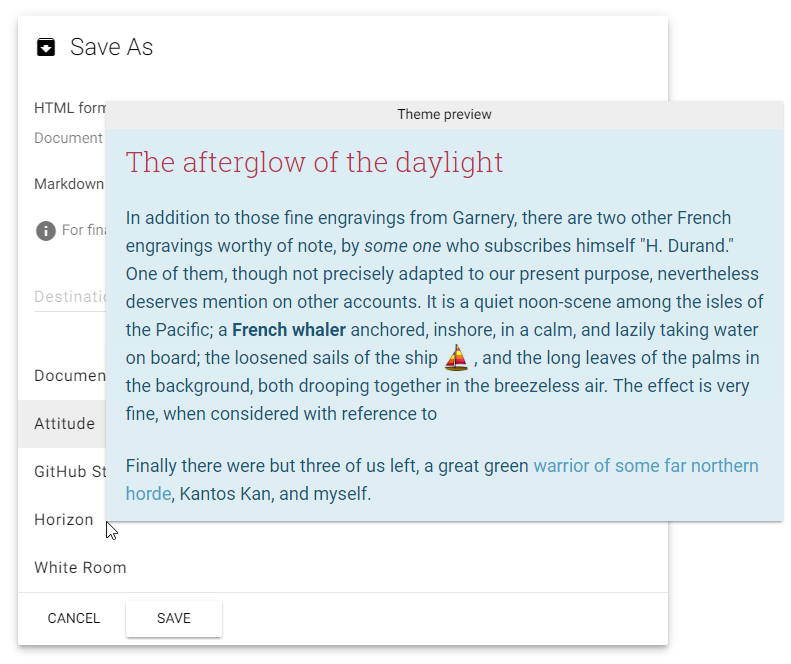 A document with a theme can be opened and saved with another theme endlessly, like any other document. Oh, by the way, (Un)colored interface can also be customized with themes. 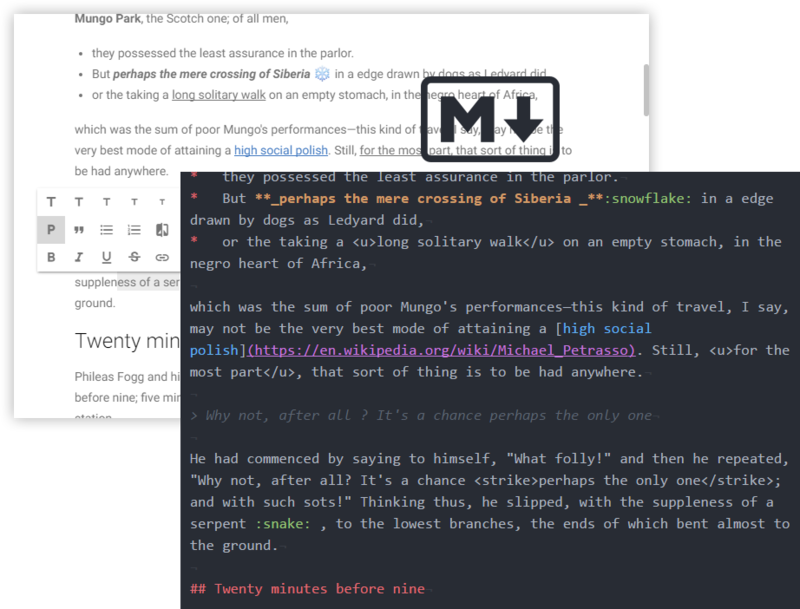 For those who don't care about document themes and usually use Markdown language, (Un)colored allows you to open & save Markdown documents with a WYSIWYG editor, not with a 2 panels text/preview editor like we usually see it. (Un)colored is still in beta. User interface will probably evolve, issues will be solved, more and more features will be added during its development ! If you want more details about future features & issue fixes, check out the project on GitHub. (Un)colored is provided for 64-bit systems only, on OS X 10.9 and later, Windows 7 and later, Linux (Ubuntu 12.04 and later, Debian 8 and later). (Un)colored is provided for free, without annoying & restrictive use protection system or other DRM. 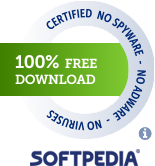 It means that you can install the application on many computers you want, for an unlimited period of time, and this will always be the case. (Un)colored is also open source under the Apache License 2.0 license, which means that the source code of the application is available for all to see. Consequently, developers & other creators can check that there is no trap in the application and that your privacy is respected. Making applications like this takes time. If you like (Un)colored, please consider to donate to support my work :wink: If you don't know how much to give, 6 € is a reasonnable amount (will be automatically converted into your currency). Have a nice day !